This is the third and final post in a series aimed at helping you understand how assessments can be used to help uncover your strengths and unique talents. You can read the first post HERE and the second one HERE. Save the best for last. That’s what they say right? Well, in this series of posts about assessments that can help you define your brand, I believe I have indeed saved the best for last. To say that the Fascination Advantage® assessment is unique would be an understatement. The assessments in my previous posts are directly aimed at helping you look inside and tell you how you see the world. The Fascination Advantage® assessment flips this traditional approach on its head. Instead of giving you introspective language on how you see the world, this assessment provides you with insights on how the world sees you. It’s a subtle but key difference. Invented by Sally Hogshead, the Fascination Advantage® assessment is a science-based personality brand measurement assessment. It picks up where the other assessments I’ve reviewed, stop. The Fascination Advantage® tells you how your personality is most likely to impress and influence the people you interact with on a daily basis. It allows you to discover the best of yourself through the science of fascination. It does this by determining your personality advantages. 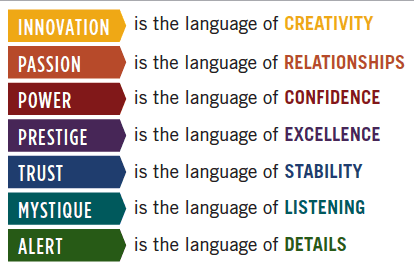 The Fascination Advantage assessment breaks your personality down into seven personality advantages; Innovation, Passion, Power, Prestige, Trust, Mystique, and Alert. All of us have one primary personality Advantage. That advantage is how you add value to any given situation. It’s what makes you different. It’s your superpower. Now the notion that you have a personality superpower may sound a little “hokey” to you, and I completely understand why you would think that. I did too at first. Then I did my homework. It is apparent that they did their homework as well. The research behind this assessment is rigorous and it only materialized after two decades of proprietary research. 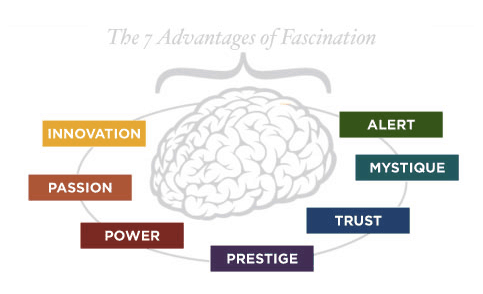 Sally and her team spent $450,000, published multiple original studies around the globe and utilized a brain trust of top experts in neurology, biological anthropology, sales, marketing, and leadership to develop the Fascination Advantage® assessment. You see pulling all of this together for our benefit, that’s Sally’s superpower. At $37 this is the most expensive assessment I’ve reviewed. But as you will soon see, it is $37 well spent. You take the Fascination Advantage® assessment online. You can even take the test using most cell phones. Your superpower is determined by answering 28 questions. That’s it. Just 28 questions and in five minutes or less, you’ll understand your personal superpower. As a bonus, the questions you answer are a lot more engaging than the other assessments I’ve reviewed. 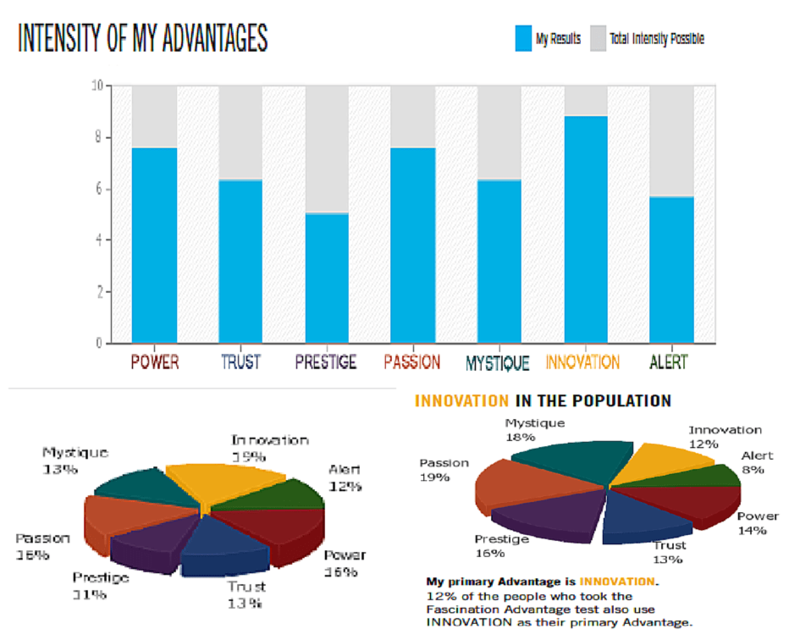 In addition, your Fascination Advantage® report will define your unique advantages and how to use them to propel your career. Your report includes all of the analytics for your score. You’ll be able to view the intensity of all seven of your Advantages, see the percentage of each of your Advantages and compare how you scores stacks up to the average participant. In addition, you also get full-color graphics and videos from Sally speaking directly to you, explaining your personality advantage. So at this point you may be asking yourself, why should you take this assessment over the others? As you already know, over the last few years we have seen an evolving work environment. While the workspace has always been crowded and competitive, it is now even more so, making it that much more important that you fully understand the impression you make with employers and co-workers. It’s your job to know what makes you valuable, not your managers. Basically, if you don’t recognize your value, don’t expect anyone else to. We all compete for attention. You need to make it easy for people to understand what you’re all about, how you add value. If you don’t convey this to others, just like a bad search result on Google, they’re off to the next thing. Once you know what makes you valuable to others, you will become more authentic and confident. To get there, it all begins with understanding how the word sees you at your best. It begins by understanding how you’re fascinating. As I mentioned before, the Fascination Advantage® assessment breaks your personality down into seven personality advantages. It takes each of the seven advantages and plots them on an X, Y axis. This creates a matrix of the 49 potential personality archetypes. 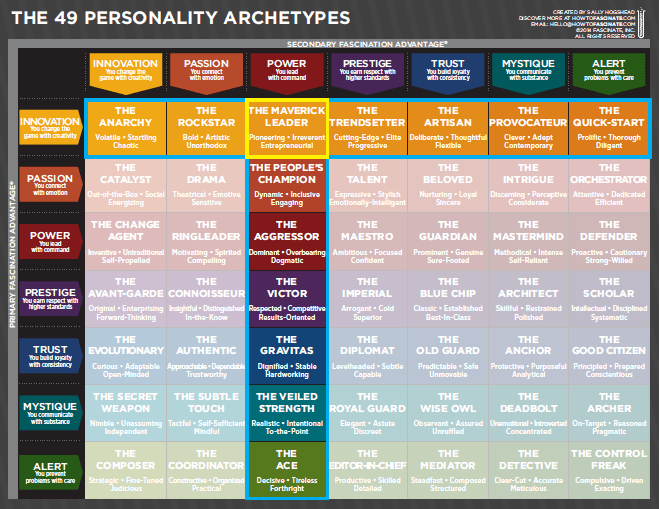 Your personality archetype is a combination of your primary and secondary personality advantages. Finding your unique personality archetype is as easy as locating your primary personality advantage on the Y axis (Y to the sky) and matching it up with your secondary advantage on the X axis (X to the left). As you can see I am The Maverick Leader. I feel the need…. 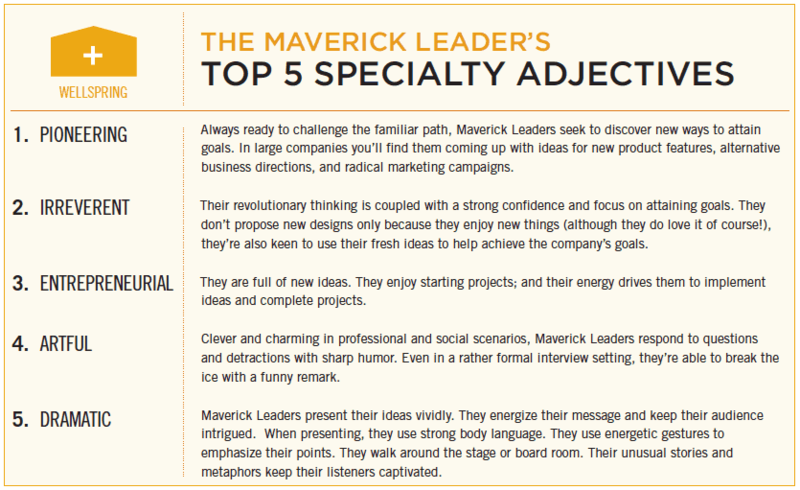 The Maverick Leader is a combination of my primary advantage, Innovation and my secondary advantage, Power. My dormant advantage is Prestige. I’ll briefly break each of my advantages down, then bring them back together in my Archetype. For your top two advantages, your report includes an entire page explaining your advantage in detail. The page is very concise and breaks your advantages into easily understood bite-sized snippets of information. Examples include descriptors of your advantage, who you are, how you add value, examples of others who use your advantage and even how you can apply your advantage at work. Here’s a quick snapshot of my primary advantage, Innovation. You quickly solve problems with fresh solutions. You’re able to generate ideas that surprise people with a new perspective. People watch to see what you’ll do next because you thwart tradition. That’s right, Betty White, BABY! You influence others with self-assured ideas and action. You energetically tackle big goals, giving you the potential to motivate large groups. People instinctively look to you for clues about how to behave. Your dormant advantage is the one that is least likely to impress others. When forced to use your dormant Advantage, it exhausts your energy and focus. This is your least natural mode of communication and it requires tremendous additional energy in order to relate to others in this way. It feels awkward and unnatural. It leaves you drained. Those strong in the Prestige advantage are proud of their achievements. They may display diplomas, prizes, and awards in their home study or on their office wall. Interestingly, I have my diplomas folded and stuck between books on my bookshelf. Combining my primary and secondary advantages makes me The Maverick Leader. There is so much about this archetype that resonates with me. Here are a few ways the world sees me. I can provide you with examples for each one of those bullet points. I’m almost always the person who stands up first to take the lead when discussing a problem or potential solution. If there’s a whiteboard nearby, it’s only a matter of time before I’m mapping out the issue at hand. On the flip side, the assessment points out that I dislike routine tasks and will get bored when forced to follow predictable patterns. This is so true. Because I’m a little restless, routine tasks drive me crazy. It’ not that I can’t do them, it’s just that I can’t do them often or for long periods of time. Here is the list of my top 5 specialty adjectives. I’ve just given you a lot of information and the Fascination Advantage® assessment does as well. It took me a while to digest all of this. As I was reviewing my results initially, I kept thinking how do I explain this to others? Fortunately, Sally and team have this covered. They know we live in this super fast paced world where being able to stand out or be remembered after a day full of conversations and chit-chat is critical to your success. That is why they created the Anthem. An Anthem is a tagline for your personality. 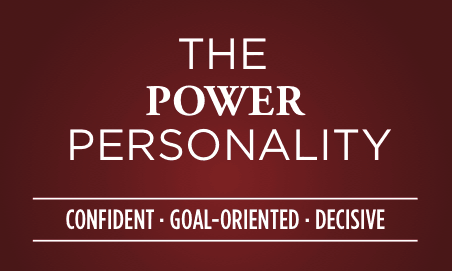 It sums up your personality in a very short two or three-word phrase that encompasses your superpower. Now, the assessment itself does not give you your unique Anthem. You have to figure your Anthem out for yourself. This will take some time but once you do, you’ll be able to capture people’s attention as well as provide yourself with a sense of confidence and reassurance that it’s ok to be you. I’m not going to reveal my Anthem this week. I’ll do that in my next post where I plan to show you how I created my Anthem combining all of the information from all three assessments. I will give you a hint, though. It has to do with being a Hacker. And No. Not the kind you are thinking about. The Fascination Advantage® assessment is the one I recommend my clients take first. It’s super easy and quick to complete. The report is far and way the best of the three, although the StandOut assessment report is close. The report is written in a way that makes it easy for you to comprehend and more importantly apply. You will have numerous “Ah Ha!” moments as you read your results. 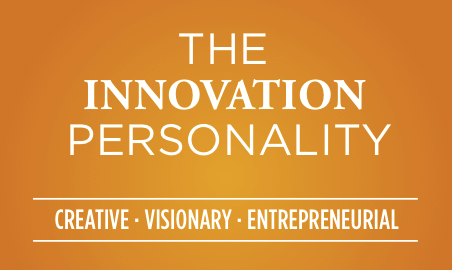 More than just revealing your personality advantages, I believe the Fascination Advantage® assessment will help you reveal the core of your personal brand. If you’re interested in understanding how the world sees you, here is a link that will take you directly to the assessment. QUESTION: Have you taken the Fascination Advantage assessment? 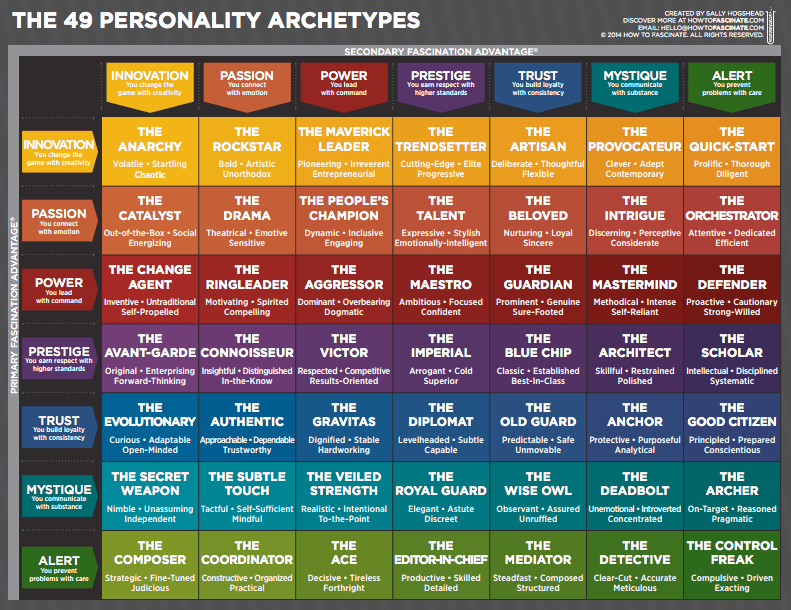 If yes, tweet me your Archetype @RyanRhoten. If you haven’t taken it, give it some serious consideration. You won’t regret it.